Perfect Pet Resort’s 3rd Annual Harvest Food Drive is in full swing! From November 1 through December 1, bring your non-perishable pet and people food items to our lobby. Items will be donated to End Hunger in Calvert County and assorted animal rescue organizations. 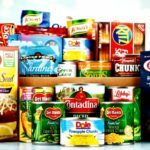 Some suggested items for people include canned goods, dry beans, juice boxes, pasta, cereal or boxed foods. For pets, suggestions include dry dog food, cat food, wet dog food, treats, wet cat food or kitty litter. Clean out your cupboards! Tune in to our Facebook on December 1 to find out the total weight donated!